At Frog Hollow, the Vermont state craft center in Burlington, director Rob Hunter says the shop can't keep Sweet Pea & Friends: The SheepOver in stock. "It just flies out of here," he marvels. Hunter is talking about John and Jennifer Churchman's children's book, a volume coauthored by the Vermont couple and filled with stunning photo-illustrations by John. "Sweet Pea," you see, is an adorable sheep — is there any other kind? 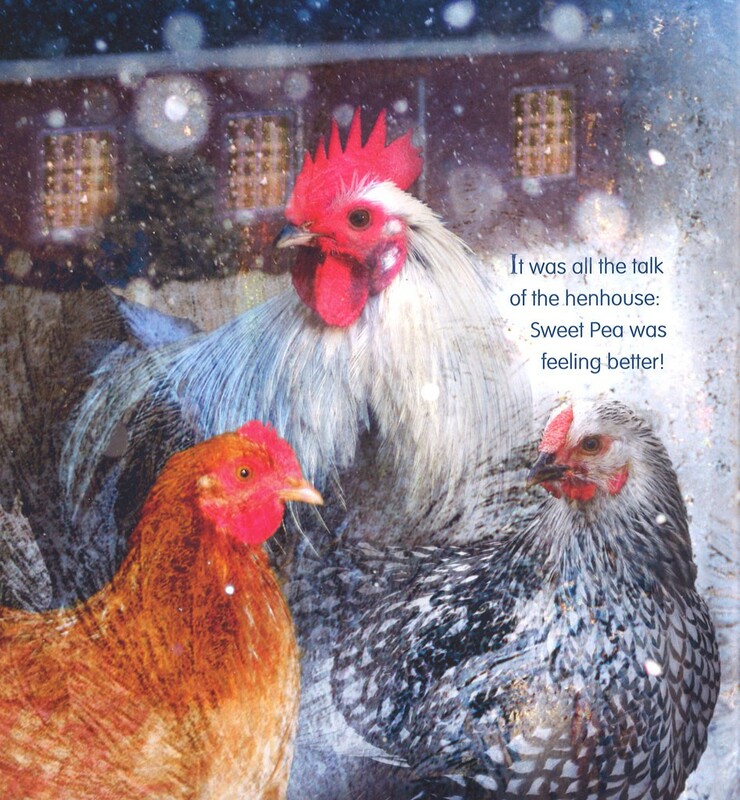 — and the self-published picture book has really struck a chord, even outside of rural Vermont. The Churchmans' many Facebook followers were the first to fall in love with the true tale of the ailing lamb, removed from her "friends" to convalesce in the farmers' greenhouse; with the ministrations of Dr. Alison, a country vet; and, of course, with the happy ending that I will not reveal here. (B-a-a-a-ck off!) The farmer/storytellers decided to embark on a crowdfunding campaign to raise the capital to produce their first book. It was instantly successful, and preorders poured in. The fan base escalated even more after Elizabeth Bluemle, co-owner of Flying Pig Bookstore in Shelburne and a contributor to Publishers Weekly's ShelfTalker blog, wrote a glowing review of The SheepOver in an October 2 post. And then something else happened. Fast. A lot of book publishers sat up and took notice. Literary agents began calling the Churchmans' home, hoping they might like to sell their book to a mainstream publisher. But the first to reach them — and the one who quickly won over the couple — was Brenda Bowen of Sanford J. Greenburger Associates. "She's a rock star" in the world of lit agents, said John Churchman in a phone interview. "There was a bidding war on the book, and it went to auction the next week," said Jennifer Churchman. "In the end there were five publishers [bidding], and John and I had the luxury of which publisher to choose." They chose Little, Brown Books for Young Readers. Why? "Their enthusiasm and understanding of our value system, what we were trying to do, was just a perfect match," said Jennifer. "Everyone was unbelievably fair with compensation. But it really came down to personalities, and intuition." There was another reason: The editors at Little, Brown said they would "super crash" the book and print it for this holiday season. Brand-new books, completely unaltered from the original, will arrive in stores in early December. "This is just unheard of in publishing," Jennifer exclaimed. "The publishing world has a long pipeline. But this is how Little, Brown is differentiating themselves. They're the No. 3 publishing house in the world in terms of size. But they're acting with the passion and agility that you see in the self-publishing world. ... It's the same kind of energy we've been feeling from our buyers and booksellers. So that was key." According to a PW article that came out today, the Churchmans received a six-figure advance — for The SheepOver plus two more books. Those will be The Brave and Mighty Finn (about another lamb) and The Adventures of Laddie and Maisie Grace (the Churchmans' border collies), according to Jennifer. She and John have many tales to tell about their animals. At their so-called "picture farm" on 25 acres in Essex, the couple currently provides a home for 18 sheep, three geese, 15 ducks, 50 to 60 chickens, six Heritage Bronze turkeys, four dogs, two cats and a mini horse. Very few of them end up on the dinner table. Though John is a longtime professional photographer and fine artist, both he and Jennifer always have camera in hand, she said. The couple operate Brickhouse Studios, creating branded marketing for clients — "visual brand stories," as Jennifer put it — particularly in the food and agriculture industries. Their animals and farm scenes literally get in the shots. That background gave the couple the know-how to pursue their longtime dream: creating a children's book. And now, we can safely say, books. With those cute critters and a growing number of readers, can the sheepie merch be far behind? "Actually, we'd thought about that even before this [publishing deal]," said Jennifer. "We run everything through our fans on Facebook." Ideas already suggested: sheeping bags, lambie jams and sheep tees. You know, for the sheepover. 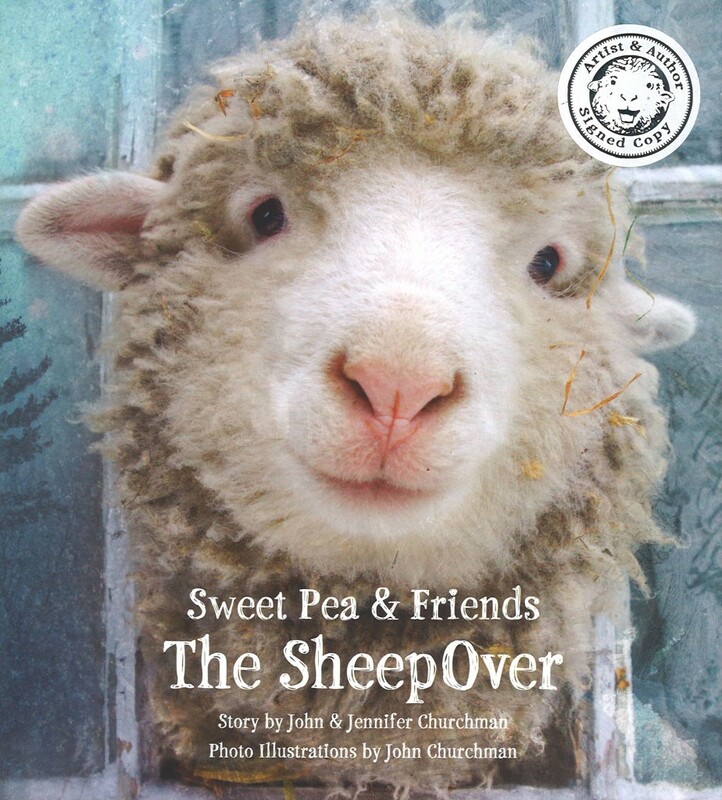 Sweet Pea & Friends: The SheepOver, by John and Jennifer Churchman, Little Brown Books for Young Readers. $17.99. John Churchman appears for a book signing on Saturday, December 19, 1 to 3 p.m., at Frog Hollow in Burlington. Video: Where Are They Now?